When I left Penn State, diploma in hand, I really wish that someone had given me some practical advice about how to succeed as an engineer in the real world. I had the technical knowledge, that’s for sure, but felt lost as I tried to set my career path. I hope all Penn State engineers can learn from my experience as I share five takeaways from my path from my Penn State engineering degree to my successful career at a major research organization. #1 Be willing to take measured risks and embrace changes in your career and life because they can only lead to professional and personal growth. Get my first job and use their tuition reimbursement program to get a master’s degree in math from the University of Maryland and then get a master’s degree in physics from Maryland or Johns Hopkins. Leave my first job after five years and go work for some Washington, D.C. area consulting firm. Return to Penn State and get a PhD in nuclear engineering. Open up my own fusion consulting firm. True to my Plan, I did earn my master’s degree in applied physics at Johns Hopkins – after realizing that an advanced math degree was not for me. Not only did the degree serve as a great complement to my engineering science degree at Penn State, it also exposed me to cutting edge software and taught me some great real-world problem solving skills. Five years later, according to my Plan, I was supposed to leave my job for job at a DC consulting firm. But by this time, I actually was really enjoying what I was working on and loved the mixture of an industrial and academic atmosphere at my work place. Side note: Remember when you are looking for a job – don’t just look at the salary and job title or job description. Look at the full benefits package that a company offers you. For example, in terms of benefits, make sure you know their vacation leave, continuing education opportunities, retirement benefits (never too late to start that), and medical benefits. In terms of the atmosphere, make sure you look at the types of offices, the infrastructure – like computers and other support stuff – demographics of your co-workers, dress code or lack thereof, travel requirements or possibilities, and outside activities that they sponsor. So I decided to take a risk and change the plan and stay at my first workplace. And the rest is history, as they say, since I have now been there for 32 years. But along the way I have switched jobs a few times and those changes were risks to me. For the first 10 years, I worked on projects that involved developing the methodology, models, and software to predict the fundamental errors or inaccuracies in the navigation and guidance system on missiles. But then a former co-worker presented me with the opportunity to work in a very different area where I could apply my basic modeling and test and evaluation skills to a different underwater data-gathering problem. I was scared to death to leave my nice little comfort zone and start working on a completely new project, in a different area, and with all new people. I was not sure I could do the job. I was not sure that they would like me. What if I completely failed at the job – what would happen? You can imagine all the thoughts going through my head. Well I decided to take the risk and make the change – and boy that was one of the smartest decisions I ever made. For this next assignment, I worked on projects where we built one-of-a-kind prototype sensors and systems for them to find “stuff” in the ocean. Here, I was involved in developing the overall concepts, helping fabricate the sensors and the fully integrated system, planning at-sea tests, determining ways to analyze the data gathered by the system after these tests, and finally actually looking at the data to see if we had built a system that could find “the stuff” that our customer was looking for. This job also required me to deal with – and travel to – companies in both the US and Europe. The first time that I traveled to France, for an important oceanographic conference, I did not speak one bit of French, so you can only imagine the difficulties I had renting a car and driving 6 hours from Paris to the west coast of France. But when I got to the conference I ended meeting people that I have worked with for over 20 years and who I still call my friends. By being willing to work outside of my comfort zone and take risks, I was able to work with some very high-tech, unique, and one-of-a-kind systems. #2 Math and physics are the fundamentals for all engineering disciplines; learn them well and you will use them throughout your engineering career and perhaps your entire life. You would be amazed at how many places the basics of calculus and Newtonian physics come up in everyday topics or even other disciplines outside of engineering. Math and physics will follow and assist you throughout your entire career as an engineer. For another example/illustration, I have a story from a few years ago, when we were working on a sonar to produce very high resolution images of the ocean floor. To process the data from each time you transmit and receive a “ping” or pulse of sound that reflects off an object on the ocean floor, you must know the roll and pitch of the vehicle when you transmit the ping and when you receive it back. We wanted to minimize the cost of the sensors for this project so we installed inclinometers on the vehicle to measure the roll and pitch. Inclinometers are simply pendulous masses whose position you measure at say 10 Hz relative to the case of the sensor and now you know how much the case is tilted relative to local vertical thanks to good old gravity; to keep these inclinometers from being susceptible to vibrations, the motion of the pendulous mass is damped by a somewhat viscous fluid inside the sensor. This can introduce some unintended effects because now the pendulum may under or over predict the angle because it’s reacting too slowly. So I asked one of my software colleagues to write a routine in our navigation software to predict the correction required at each measurement to make the answer closer to reality. I asked him to use our knowledge of the fundamental period of the roll motion and pitch motion and some empirical data to come up with the answer. And I suggested that we might want to look at the acceleration of the pendulum. Well, you guessed it: This computer science guy did not know much physics or math, so he did not remember the chain rule let alone some basic differentiation. So he created this huge spreadsheet where he computed the first and second derivatives by brute force using differences in THETA for tiny time steps and then for a full range of possible values of omega over a one hour time period. You can imagine how big this spreadsheet was. And then he wrote a routine to query this table every time we wanted to compute the correction! True story! So remember, math and physics come in handy every day. #3 There is usually more than one way to solve a problem. Try to explore as many of them as possible and see how the answers compare or contrast in the end. To illustrate this point, I have to go back to my childhood and high school days. 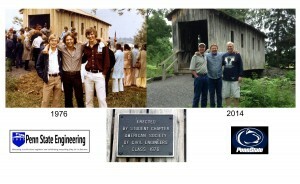 Although my dad worked in the chemistry department at Penn State, I am a first generation college graduate. His idea of a great summer vacation for me was to not to go to camp or on a vacation, but instead to do some practical or problem solving project during the summer. Thus, one summer, my dad decided that it would be a good idea if I disassembled an old mechanical typewriter down to the smallest part and put the parts out on a white sheet in the driveway and count them. How many of you have ever even seen a mechanical typewriter? Another summer, he made me do the same thing with an old refrigerator just to see how it works. You can tell that early on my dad instilled in me some street smarts and practicality to make sure I explored all sorts of ways to solve problems. One example of this is would be the year over Christmas break that my dad bought a “double” scissors jack to replace the “single” scissors jack that originally came with his Toyota Corolla. At the dinner table, my dad asks “which jack do you think goes up faster for each turn of the crank?” Well it was a blizzard outside and I did not feel like plowing my way through the snow to their garage to look at the jack. So I pulled out a piece of paper and pencil and wrote down the differential equation for both situations and a few minutes later proudly announced that it depended on the pitch of the screw driving the jack but for a similar pitch, the “single” scissors jack would go up faster but with more effort. Of course, practical dad asked “Why didn’t you not just go out and take both jacks and spin the handle ten times and see which jack went up more?” So sometimes it’s a good idea to take both a practical as well as theoretical approach to a problem. #4 Communications, both oral and written, are very important for people to understand what you are doing, what you have done, and what you want to do so learn to communicate in all methods. I always say that you should have ready for your boss the “elevator speech” about your current project or projects. In other words, if you ran into your boss on the elevator going from say the 6th floor to the 1st floor, and he asks you, “So John how is that XYZ project coming along?” Make sure you can succinctly describe the status of your project in the 30 seconds you have before getting to your 1st floor destination. She will appreciate that you not only understand what you are working on but also that you understand that her time is valuable and she just needs the 50,000-foot view, not the 50-foot view. Conversely, make sure that you can describe what you do to your friends and family even if they are not technical. If you cannot describe your job or summarize the details of a particular project in a fashion such that a layperson can understand it, then you probably don’t really understand it yourself. Learn to communicate both in detail and in summary. Learn to communicate at a highly technical level as well as at a layperson level. Remember that not everyone is an engineer so you may feel like you need to “dumb down” your words. But remember that these other people are also smart so don’t insult them by communicating to them like they are 10-year olds. I also find that lots of my younger colleaques have a hard time writing cohesive documents. They are so used to the world of texting and email that they have forgotten how to write full sentences and meaningful paragraphs. Make sure that anything you write can be understood by anyone, even those who are not intimately familiar with the subject at hand. The old rule-of-thumb is KISS – Keep It Simple, Stupid! #5 Networking at work is very important if you want your career to grow and it’s very important in your personal life if you want to have a fulfilling life after Penn State. Make sure to keep your Penn State bonds strong; there are Penn Staters, especially Penn State engineers, almost everywhere. You will find, like I have, that most Penn Staters are more excited about their Penn State experience than people from any other college in the US. Please join a local chapter of the Penn State Alumni Association wherever your life and career may take you. These chapters are great ways to make new friends, network, and share stories about Penn State. I am the VP of the Central Maryland Chapter of the Penn State Alumni Association and through this alumni chapter I have met tons of new friends in Maryland and at Penn State proper whenever I return to campus. Where I work now, I was fortunate enough to have the ultimate networking opportunity when I started working there. For the first three months, my employer assigned 30 brand new engineers to a project affectionately known as “the training program.” I was fortunate enough to be the leader of the project for the 1982 Training Program. I was fortunate enough to be the leader of the project for the 1982 Training Program. Our task was to evaluate the viability of a new microwave system that was being proposed to the FAA for instrumented landings in bad weather. The key here was whether or not the microwave signal was refracted by the thermal inversions or trapped by thermal ducts near the runway surface. If they were, then the airplane could be misled as to its actual altitude above the runway. The 30 friends that I made during this project where the beginning of my network at work. Thirty-two years later, nearly 1/3 of these folks still work at my employer and have been promoted to various very responsible positions. So when I need to find out who among our 5,000 employees might have a certain expertise, I simply need to send a message to this network and I usually get the answer back within a few hours. I could search through our online resume database but that would take days and days and probably not be as effective. One last example today! Although I was not active with THON during my days as a student at Penn State, the past several years I have become a behind-the-scenes supporter of THON by making donations to the student organization itself rather than the Four Diamonds Fund. This goes back to my days as a member of a student organization that brought interesting speakers to campus – like today’s Distinguished Speaker Series. We brought in Isaac Asimov and Carl Sagan, for example. But we had very little money for the day-to-day operations of this group. Although THON raises literally millions of dollars, as an organization they are very hesitant to spend money on the day-to-day operations. Fortunately, two of the last three executive chairs for THON have been engineers – Eileen Tanela, executive chair 3 years ago, was a bioengineer, and Ryan Patrick the 2013 executive chair is a mechanical engineer. After I was introduced to Eileen and Ryan, I was able to form a close friendship with them because they are fellow engineers. They in turn have introduced me to a huge network at Penn State that I hope to utilize when I return to State College when I retire! So just like that your network can grow and grow as the layers build up. 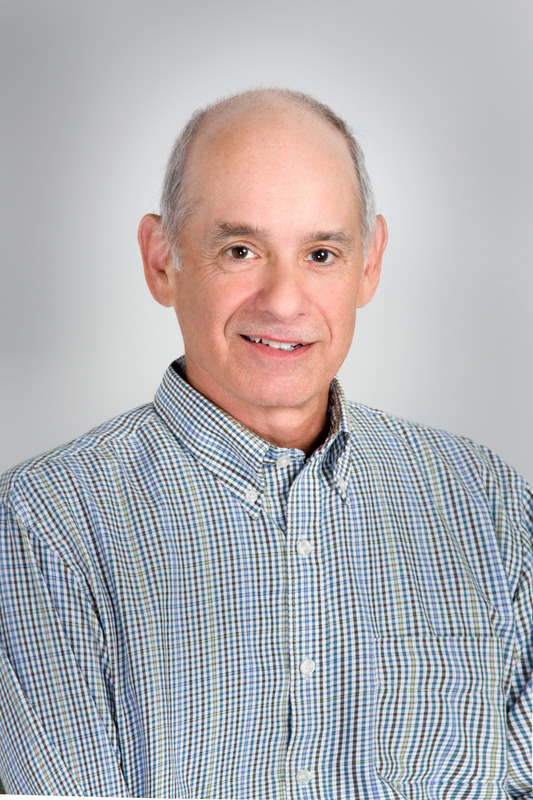 Ned Brokloff has worked at Johns Hopkins University/Applied Physics Laboratory since graduating from Penn State in 1982 with a degree in engineering science & mechanics. In his current role as chief scientist for strategic deterrence he is responsible for research and development/science and technology endeavors with respect to various US Navy weapon systems. Ned also holds an MS in applied physics from Johns Hopkins University. This past summer, three former Penn State civil engineering classmates reunited when they came to State College to attend a wedding. One of them, Jim Foreman, contacted the college’s alumni and marketing/communications offices to tell their story. “The bridge was built to provide pedestrian access over Spring Creek as part of a public park development. The Penn State student chapter of the American Society of Civil Engineers (ASCE) sponsored and completed the work. Our adviser was Ralph Mozingo. The three of us were ASCE members and performed the surveying, layout and project management/documentation (photo/movie/time lapse). We also participated in and studied other aspects of the construction in partial fulfillment of the requirements for Chi Epsilon for Dr. Willenbrock’s CE 432 Construction Management course. James E. Foreman III, P.E. retired from Champion Aerospace as manager of manufacturing services. He resides in Spring, Texas. Robert L. Lee is division administrator at the South Carolina Federal Highway Administration. He lives in Columbia, South Carolina. His wife, Gloria, is also a 1976 civil engineering graduate. James P. Moore, P.E., CCM is chief, construction management at the U.S. Army Corps of Engineers headquarters. He resides in Washington, D.C. I recently had the opportunity to deliver a speech to graduating seniors of the Chemical Engineering department, just hours before they would don their cap and gown. I was proud and excited to stand in front of them, for it was eleven years ago that I found myself in their shoes; young, eager to face the world, yet nervous about starting my “real” career where I would no longer enjoy a summer break or tackle the brisk walk from east to west campus to arrive just in time for the start of class. When I graduated in 2003, I didn’t want my relationship with Penn State to end. My experience at the university was phenomenal, and the founding education and coaching I received as a student prepared me so well to for my professional career. How could I deliver a brief message to these graduates that would help them truly appreciate the institution that would soon be written on their diploma, realizing that today was only a new chapter in their relationship with the university? I decided I needed them to realize they could continue to give back. What does it mean to give back to Penn State? The greatest news is that it can mean so many things! The opportunities to continue your personal relationship with the university are endless. Personally, I have found it most rewarding to offer a little bit of all of the above. As a result, my relationship with the university may be stronger today than it was a decade ago and even though it’s in the distant past, I can still hear the leaves crunching underfoot on my walk from Fenske to Hammond building. Alysia Diffendal, is the Global Formulations & Packaging Process Leader for Dow AgroSciences in Indianapolis, Indiana and is responsible to provide cross-functional direction across all geographies to identify, secure resourcing, and track progress of non-capital projects required to deliver supply capability to support the Dow AgroSciences 5-year business plan. She is responsible for key enablers including a defined sourcing work process and successful development of Regional Sourcing Strategies that align with business & regional needs. Prior to joining Dow AgroSciences, Alysia was the Production Leader for Dow Energy Materials and Advanced Electrolyte Technologies where she led the startup of two new production assets in Michigan Operations. Key initiatives included building the manufacturing organization from scratch within a new business including hiring personnel, establishing policies, and developing/executing strategy as well as implementing systems and administration to accommodate a facility which operates assets for Dow in addition to a Joint Venture. Both startups were executed with zero safety incidents, below budget, and with a highly accelerated schedule. After earning her bachelor’s degrees in Chemical Engineering from Penn State in 2003, Alysia held various roles in Dow in Plaquemine, Louisiana and Midland, Michigan sites. Experiences include production engineering, process optimization, capital projects, personnel management, new business development and facility startup, contract manufacturing, and cross-cultural team leadership, specifically in Japan, China, and Taiwan. Alysia serves as a member of the Penn State Chemical Engineering Alumni Group Leadership Team and is an avid Penn State football fan. Alysia and her husband Mike have a five-year old daughter Talia. We, as Penn State alums, generally feel a pretty strong love and affinity for Penn State…and we typically want to give something back to good ‘ole State. The same goes for many Engineering Science and Mechanics (ESM) grads. How can we help current students in ESM to best prepare for good jobs, to make significant impacts in their workplaces and communities, and, in the best case, to make the world a better place? As someone with many years of experience in the engineering working world I felt that maybe I could help in this effort. This is why I got involved in the ESM Alumni Advisory Board. Once I got involved with the Board and heard about the current programs and research activities, I was blown away. One example is the intersection of engineering mechanics and medicine; this marriage is leading to once inconceivable breakthroughs. Along these lines, ESM and the Penn State Hershey Medical Center/College of Medicine is now offering a joint MD/PhD that focuses on developing a new generation of physician engineering scientists who will bring transformational impacts to our society…now that’s what I call interdisciplinary! Next, how can the study of why water bugs can walk on water or why geckos can stick to walls be important to the real world…would you believe it can help increase the efficiency of turbines? Examples like this abound! The mission of the Board is to advance the department’s world-wide recognition by recruiting and retaining diverse, quality students then preparing these students for the work environment while promoting the understanding, attractiveness and perceived value of ESM in industry, research and academia. The group has 18 members from diverse fields of academia and industry who have benefited from the wonderful multidisciplinary training we all received in ESM. The board is comprised of professors, CEOs of small companies, consultants and small business owners with graduation years ranging from 1960 to 2012! That’s a lot of practical real-life engineering experience! The Board is currently working to help not only current ESM students but also the department in areas of recruiting, communications, awards, informal mentoring and student/industry networking. As such, we’ve defined four major committees to accomplish these goals: communications and public relations; student and industrial relations; department and university relations; and development and alumni relations. If you have the same desire I do to put your experience to work helping the department and its students make a mark in the world, get involved with our Board. Contact Jim Smiley, Board chairman, at jsmiley1@nycap.rr.com or Emily Gallagher, ESM alumni coordinator, at emg5174@engr.psu.edu for more information. 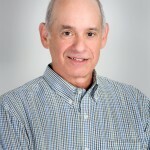 Rick Schutz is an independent computer software professional in the Washington, DC area. For fifteen years, he was a department manager at PEC Solutions. Prior to this, he worked as an advisory engineer for IBM. A member of the Engineering Science and Mechanics Alumni Society, serving as chair of the board’s communications and public relations committee, Rick earned a master’s in computer engineering from the University of Michigan. At Penn State, he was a member of Tau Beta Pi, the Symphonic Wind Ensemble, and the Penn Statesmen jazz band.